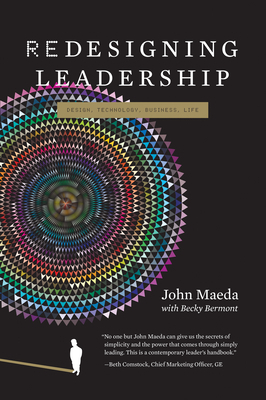 When designer and computer scientist John Maeda was tapped to be president of the celebrated Rhode Island School of Design in 2008, he had to learn how to be a leader quickly. He had to transform himself from a tenured professor--with a love of argument for argument's sake and the freedom to experiment--into the head of a hierarchical organization. The professor is free to speak his mind against "the man." The college president is "the man." Maeda has had to teach himself, through trial and error, about leadership. In Redesigning Leadership, he shares his learning process. Maeda, writing as an artist and designer, a technologist, and a professor, discusses intuition and risk-taking, "transparency," and all the things that a conversation can do that an email can't. In his transition from MIT to RISD he finds that the most effective way to pull people together is not social networking but free food. Leading a team? The best way for a leader to leverage the collective power of a team is to reveal his or her own humanity. Asked if he has stopped designing, Maeda replied (via Twitter) "I'm designing how to talk about/with/for our #RISD community." Maeda's creative nature makes him a different sort of leader--one who prizes experimentation, honest critique, and learning as you go. With Redesigning Leadership, he uses his experience to reveal a new model of leadership for the next generation of leaders. Becky Bermont is Vice President of Media + Partners at RISD and has partnered with John Maeda, the current president, since his time at the Media Lab in efforts to bridge design, academia, and business.